“I’m going to teach you a lesson,” exclaimed my dad as I was standing in front of him pleading my case to borrow $250 for a business investment. Five minutes earlier I was upstairs on the Internet (AOL dial up baby) when an acquaintance of mine sent me a message claiming he had a pair of Retro Nike Air Jordan V white/silver samples for sales for $250 pictured below. Perhaps I should school you real quick on this whole “shoe game” before we proceed. Back in the 90’s Air Jordan’s and Nikes were hot, real hot. They are still popular today, but its different today and nothing like the 90’s. If you had the latest Air Jordan’s back in middle school, you were the man. Your friends would even be like, “Oh he got the Velcro’s!” But seriously, it was a complete status symbol (unfortunately) back in the day to have the latest pair of Air Jordan’s. It wasn’t always easy to get them either. Quantities were limited, release dates were on school days, and lines would start forming outside of malls before the sun even thought about coming up. I’ve seen grown men run through the mall at 6am in the morning to get their spot in line. No lie. People also wore the shoes they stood in line for. Now, guys stand in line, skip work/school, and get in fistfights with others just to get the latest pair of popular shoes so they can throw them on eBay and make a dollar or two. So what does all of this have to do with me? Well, I was one of those kids who were absolutely fascinated with sneakers, and for those who know me today know that it’s still very much an addiction I battle with. I’ve stood in line outside the mall, I’ve snuck into the mall through the security entrance at 5am, my mom has stood in line for me (thanks mom!) because I had early morning practice, and I’ve asked to use the restroom during class and snuck into the computer lab in high school to order a pair online before they sold out. I’ve lost count with how many shoes I have had over the years; I’m sure its well over 100 pairs. There is a senior photo from high school floating around somewhere (maybe instagram) of me surrounded by 20-30 pairs of shoes. Needless to say, I was addicted. I love the design, inspiration behind design (Air Jordan’s have been designed after motorcycles, panthers, watches, and fighter jets to name a few), colors, and materials used. I was also born with a problem; my brain doesn’t stop thinking about business and ways to make money. After my family got a Gateway computer (that ran louder than a jet taking off an aircraft carrier) and joined the rest of the world dialing up to the Internet, (which sounded like a robot getting choked and fighting for it’s life) I began to explore different sneaker websites. Guys made websites talking about Nike and Air Jordan shoes that were releasing later in the year. This sparked my creative interest, so I decided to figure out how to make my own sneaker website. My first site, “No Name Nike Page” – creative, right? Digging deeper on message boards and sneaker chat rooms (yes, I’m a nerd) I learned that people would pay a lot of money to obtain a pair of Air Jordans early before they came out to the public, generally these were samples that reps were done with and needed to get rid of. Reps would have sample sales and sell off samples (men’s size 9) that they were done with for anywhere between $30 and $100 dollars. Some of these samples would end up online and sell for $500 and up. Not a bad profit margin at all, right? This really got my wheels turning, I started to search high and low for a local Nike Rep. I looked in the newspaper (yeah, people still read those things) under classified ads, I harassed managers at local stores to tell me when the rep was coming to visit next, and I even cornered the athletic director in middle school and asked for a contact name. I was determined to find a connection. Too bad LinkedIN wasn’t around. A simple search for “Nike Sales Rep” probably would of worked. And now we circle back to my dad who claims he’s going to teach me a lesson. So there I was, in front of my dad pleading my case for him to loan me $250 for these Air Jordan samples. This was my first opportunity at a pair of samples. Other than a few detention threats from the athletic director, my local search had produced zero results at this point. This offer was coming from a guy in Florida who had been to a sample sale that morning and was looking to unload this pair for a quick profit. I ran upstairs, told the guy yes and arranged to send him a money order for $250 in exchange for the pair of shoes. Hopped into the car with my dad to go get the money order at the local CVS. Mailed the money order to Florida and prayed this all worked out. Fortunately enough, he actually mailed me the shoes. There they were, my first pair of samples. It was like Christmas, except better! I took a few photos with a disposable camera. Then took 20+ other photos of random stuff to kill the roll. Rode my bike up to CVS to develop the film. Enjoyed a nice Dairy Queen blizzard while waiting for the photos. After getting the photos, I scanned the ones of the shoes at CVS. Saved photos to a floppy disk and began the ride back home. I loaded the photos onto the computer, logged on to the Internet, and posted the shoes for sale on NikePark’s message board. Within an hour I had an e-mail from a Hiroshi Sinju with an offer for the shoes. I had no idea at that time, but Hiroshi would become one of my best clients over the next several years…. I really enjoyed your article. I am trying to help my 15 year old get started in the sneaker business. He has purchase 5 sneakers that are not selling. Normally, he put on consignment with FlightClub. They have declined them due to no demand. How can we find out whether there is a market for the shoes before he runs out and get them? This is very late, but if he hasnt done so by now… Make sure he learns more about the “shoe game”. If hes making a little to none profit margin then he should invest more time into it. Learning more would mean following very lowkey sneaker fanatics and sneaker pages that just make you enlightened with sneakers. Try stockx. Survey if there’s a market for it first. If there is, buy and resell it. This day, a lot of facebook group caters to reseller to resell their sneakers too. Nice story , is part 2 out yet lol ? I really enjoyed story!! I am a 42 year old Mom, with a 16 year old son, and of course he is obsessed with Air Jordans, and they are expensive. So, instead of complaining about his shoe obsession, my son is going to teach me this summer how to buy sell and trade, and how to get the jordans you want. So, I have been investigating and researching so Im not some uncool Mom that doesn’t know her shi^&^(*.!!!! I only have 3 samples left. For now, I plan to hang on to them. I have some Samples I am looking to sell.. What size are you? 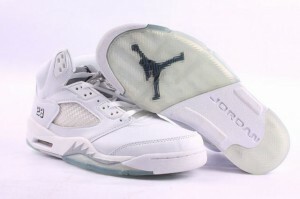 I bought some jordans at ross for $30 i seacherd for ten days straight if the real.THERE REAL! And they still sell for $140 in footlocker! Should i sell? 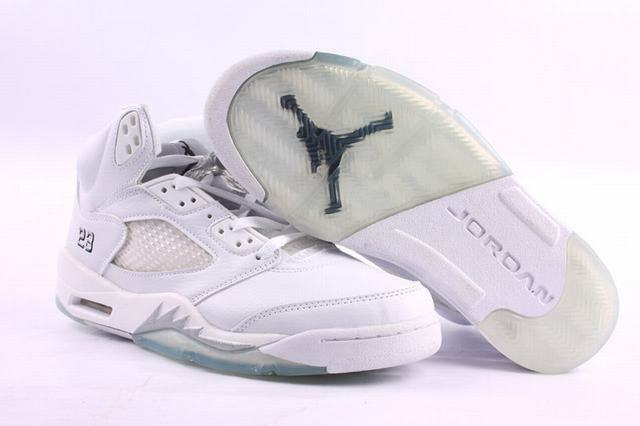 There my only pear of jordans. Absolutely then you can continue to find more pairs like those that will sell for more than start buying and selling higher end shoes (btw I’m 13 so don’t blame me if it doesn’t work, just a thought). I’m a complete sneaker head. From Air Jordan – Puma. Where I from, they are now raffling 90% of the shoes that come out so theres a very slim chance of getting them. I want to know how I can go by find a good nike sales rep and start my own business.